Vetch is another British wild flower. It is a lovely climbing plant with pretty leaves and nice purple flowers. Mummy lets it grow down in the shady garden where Hugo is. She was very happy to see it growing there. I think it likes dampish ground. It’s very yummy. I think it’s a little bit like a pea plant (see P for Pea). Now I’ve looked at the book for nettle, I can tell you that vetch is called vicia in Latin. 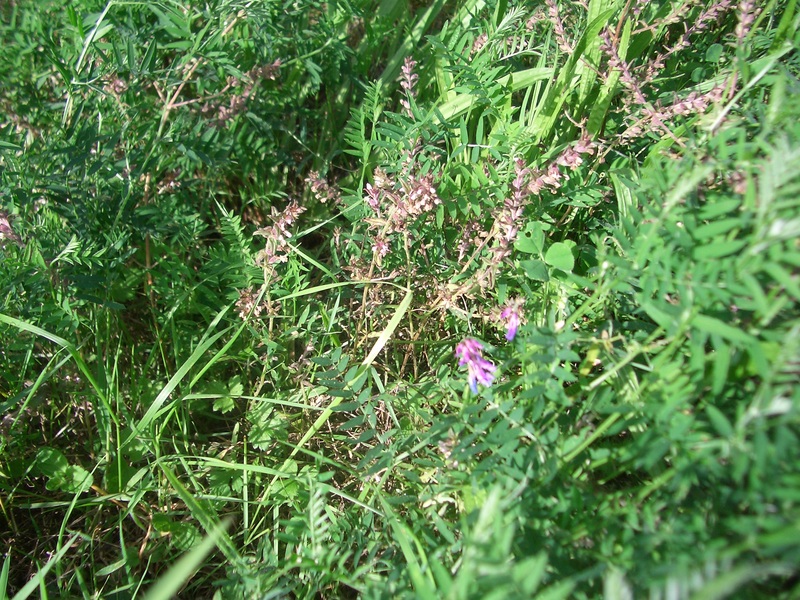 This is a patch of vetch. It’s much thicker than our patch and Mummy thinks this is Tufted Vetch. She saw it on of her walks. Ours is common vetch. Mummy did something very clever this winter. She noticed that one of the things the organic gardening people said was to grow things call green manures to keep the ground covered and healthy through the winter. And then she saw that one was called Winter Tares and was a type of vetch! So she grew it in one of the vegetable patches all through the winter. That meant we had fresh vetch all through the winter and it was really, really delicious. Even two days after the snow went it was as perky as anything. We were really lucky. Getting any fresh herbs or veg or even grass from the garden in winter is really unusual (except for radicchio and kale). Getting something as yummy as vetch, well we thought we were in clover. Clover is a close relation to it, so I suppose we were! 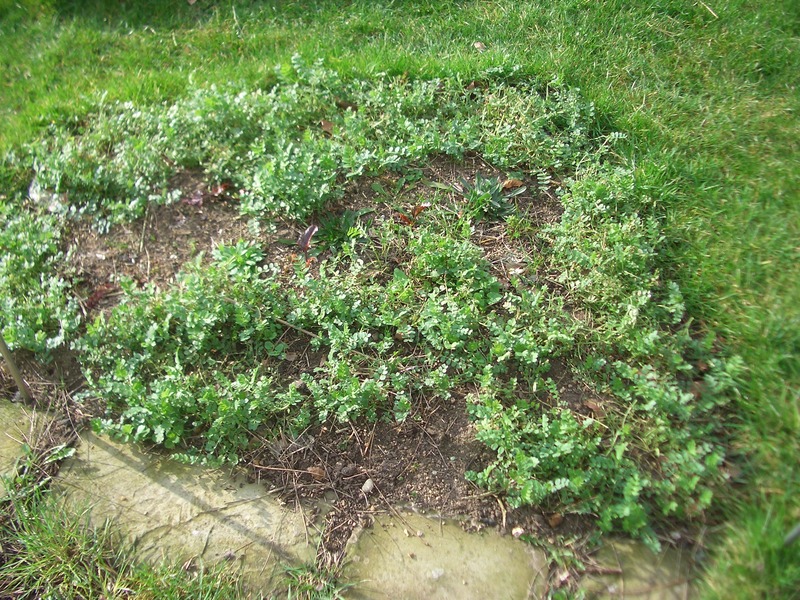 Here is a picture of our patch of vetch also known as winter tares. Mummy’s dug it into the soil now so it rots down and makes the ground really good for next autumn’s kale and broccoli. V is also for VB63M which is the code you need to get Mummy’s ebook, The Princelings of the East, for a really cheap price. I’m in it, you know. I’m a hero! It’s only on offer till the end of the month, so you haven’t got long to make up your mind. It’s for Nook and Kindle and iPad and all sorts of other e-readers. You can even get it for your browser, too. Do it now! “V is also for VB63M which is the code…” — great segue, Vic! I’m not familiar with vetch, so thanks for the info! I’ll show you the vetch next time you come.